Zander has relived his wife’s death at the hands of vampires every day for almost three hundred years, his perfect memory a curse of becoming one of The Turned—infecting him their final heinous act after her murder. Nineteen year-old Sydney Winter knows Zander’s secret, a secret preserved by the women in her family for four generations. But with her mother in a coma, she’s thrust into the front lines, ahead of her time, to fight side-by-side with Zander. And she wouldn’t change a thing. She loves the excitement, she loves the danger. But it’s a love that will have to go unrequited, because Zander has only one thing on his mind. And it’s been the same thing for over two hundred years. 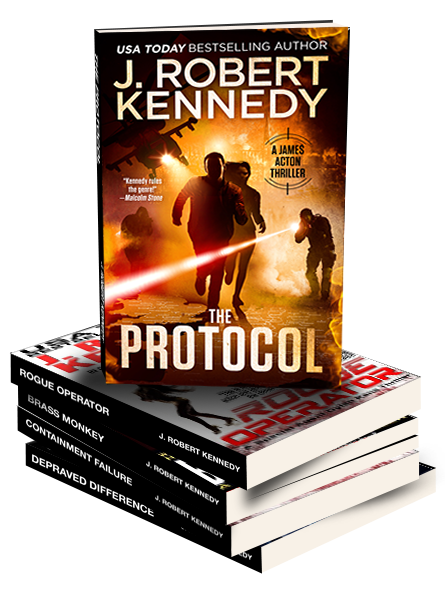 But today, revenge will have to wait, because Zander Varga, Private Detective, has a new case. A woman’s husband is missing. The police aren’t interested. But Zander is. Something doesn’t smell right, and he’s determined to find out why. 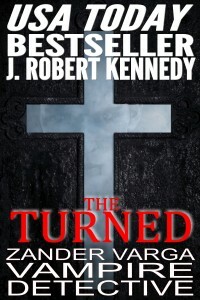 From J. Robert Kennedy, the internationally bestselling author of The Protocol and Depraved Difference, comes his sixth novel, The Turned, a terrifying story that in true Kennedy fashion takes a completely new twist on the origin of vampires, tying it directly to a well-known moment in history. 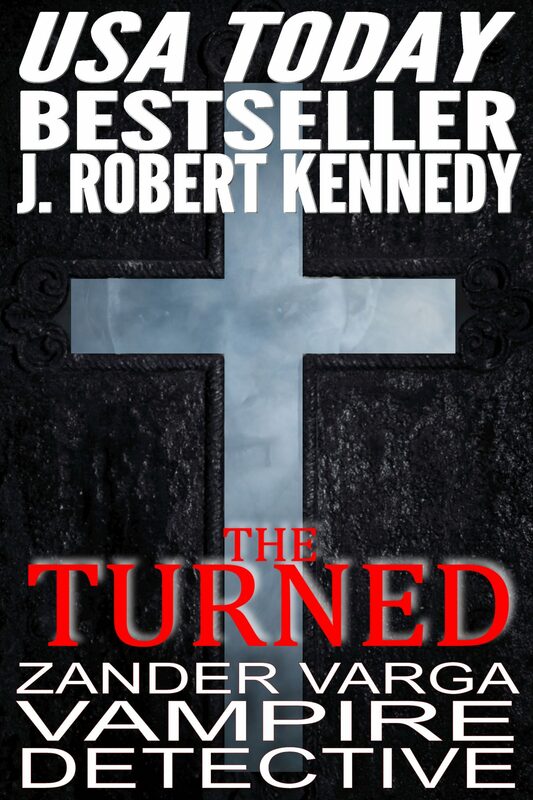 Told from the perspective of Zander Varga and his assistant, Sydney Winter, The Turned is loaded with action, humor, terror and a centuries long love that must eventually be let go. When is the second vampire book coming? Hi Shirley, I don’t have a date for the next book yet but it is coming. I have a plan for two more books in that series that I think will be a lot of fun. 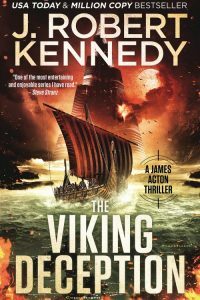 It is really good to hear that More Zander vampire books are coming! 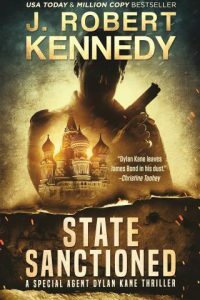 Have read almost all of the the Acton books, one of the Delta Force, and two of the Dylan Kane…that’s taken me two weeks. Just started Raging Sun this morning. I love all the books! Thanks for making the stories so exciting, the characters so appealing, teaching a bit of real history in each book. I love the Jag hits…so funny. I wanted a Jag XKE for years growing up…glad I could never afford one! You are a great writer…thanks again! Glad you’re enjoying them! And don’t forget to build in some time for sleeping and eating! Just finished Raging Sun. Another exciting Acton novel! Really good read! I wish James and Laura could find the missing Amber Room stolen from Russia by the Nazis in WW2…they are probably the only ones who could! The Ruskies have been searching for it since the end of the war…. must be on an old Nazi ghost train hidden somewhere if it wasn’t destroyed. I’m sure James & Laura would be the only ones who could ever find it! 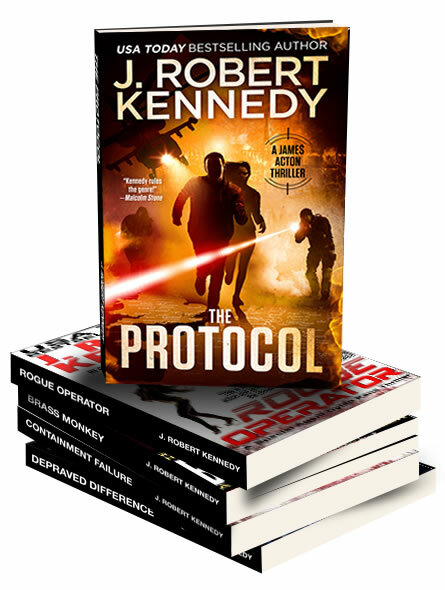 Thanks again for another great book…still have Dylan Kane & Delta Force books to read. Well that comment was from a few years ago—-so will there be (keeping my fingers crossed!) a second Varga book???? All I can say at this point is yes, but I don’t know when. 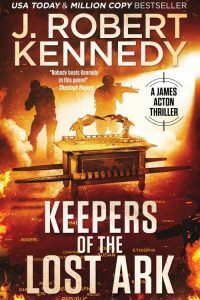 It’s one of my favorite books, but the fan base I have didn’t embrace it as I hoped, though those who did seemed to love it, judging by the reviews. One of these days! I loved Book 1 of Zander. It is kind of like the cherry on top of an ice cream sunday; everything underneath is super yummy, but the cherry is the final extra special treat! All of your books are great reads. I truly love the Prof. Acton series, and own and have read every one. Delta Force series is exciting and fun…these guys are truly unbelievable and entertaining and funny! Having a son who recently retired after 20+ years in the Army Reserves Phys. Ops, you’ve captured the essence of these brave heros perfectly. And all the other books are so great! You are definitely one of my top 3 authors! So please, take pity on we Zander fans and don’t keep us hanging too long…I’m not that young! Glad you’re enjoying all the different series. I’ll try to get another Zander out for you!